Greenwood Projects | St. John’s Almshouses awarded Housing Project of the Year 2018! Taylor’s Bell Foundry secures National Lottery SupportGreenwoods raise over £2000 for Alzheimer’s Society! 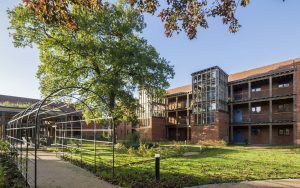 We are thrilled to announce that our St John’s Almshouses project has won the Housing Project of the Year award (up to £10m) at the Architects’ Journal awards 2018! Greenwood Projects provided Quantity Surveying, Project Management and CDM Services on this great scheme. You can view the case study of the project by clicking this link. 5th December 2018in by Chiara CurtinComments Off on St. John’s Almshouses awarded Housing Project of the Year 2018!